Mia is 9 months old and has a red collar on with a tag that shows her name and home phone number. She is quite small and shy, with a black nose and little white socks. She has been missing since this Monday night/early Tuesday morning (1st/2nd April) and may be trapped in a garage or shed. Home at last!!! 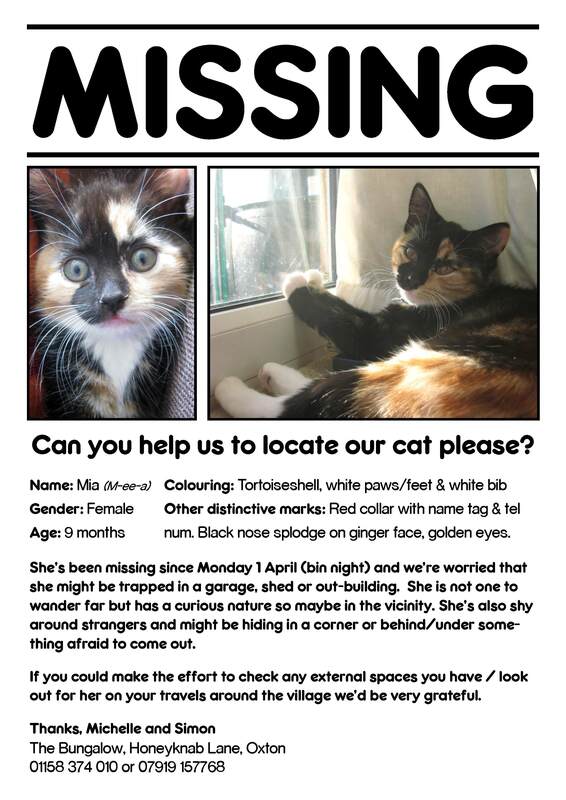 Just to let anyone know who’s reading this that Mia was found by one of our neighbours up a tree. Phew! Thanks to everyone who had a look/kept their ears and eyes peeled as harmony has been restored to the household!